The United States is expanding its intelligence-sharing with Saudi Arabia to provide more information about potential targets in the kingdom's air campaign against Houthi militias in Yemen, U.S. officials told Reuters. 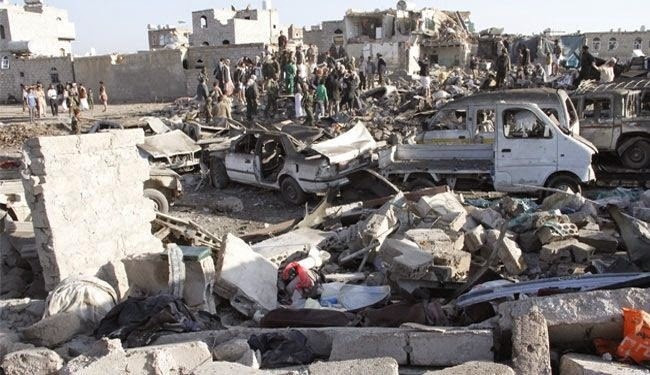 The stepped-up assistance comes as two weeks of relentless air strikes by the Saudis and other Gulf Arab allies have largely failed to halt advances by the Iran-linked Houthi forces. The U.S. officials said the expanded assistance includes sensitive intelligence data that will allow the Saudis to better review the kingdom's targets in fighting that has killed hundreds and displaced tens of thousands since March. "We have opened up the aperture a bit wider with what we are sharing with our Saudi partners," said one U.S. official. "We are helping them get a better sense of the battlefield and the state of play with the Houthi forces. We are also helping identify 'no strike' areas they should avoid" to minimize any civilian casualties, the official said. U.S. ally Saudi Arabia is concerned that the violence could spill over the border it shares with Yemen, and is also worried about the influence of Shi'ite Iran, which has denied Saudi allegations it has provided direct military support to the Houthis.